Is this a Women's Weekly article? It can’t be, there is no mention of her baby. No, it's a Peter Dunne opinion; as lightweight as they ever were when in Parliament..
Jacindas authority is far from unquestioned. She has failed to display authority in any meaningful way. The coalition partners are free to disagree on policy not the subject of a compromise under the coalition agreement, but matters of discipline and tone within cabinet (and esp the discipline and tone of the deputy pm?!) are squarely issues for her. He has zero authority vs Winston. He has zero respect for her authority as PM. She is looking very very weak. I'm surprised at how cohesive Labour et al have been. The policy alignment between all 3 I think has real substance and will help them ride out the communication spats. The next election will come round quick enough. The Greens and nzf will suffer in the polls til then, nothing new there. Don’t think Jim Bolger ever came to terms that National’s and in particular his, complacent and lacklustre campaigning necessitated that coalition in the first place. And so “bugger the polls” came to pass. 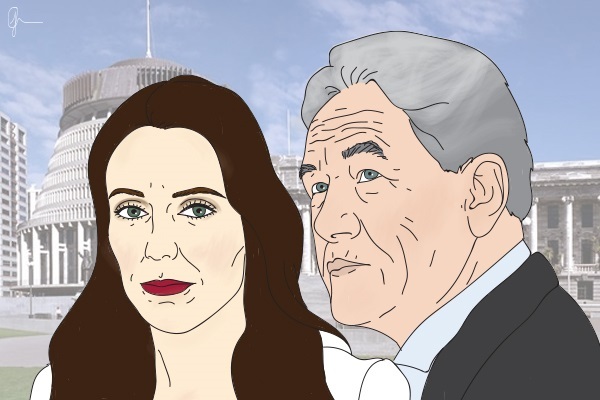 The scrambling to retain the treasury seats put them too much on the back foot & NZF introduced some MP’s who became something of an embarrassment and a target for the media. The whole set up was off balance, and things that are off balance inevitably fall over. Those sort of formative pressures are not so extreme with this lot, but it is early days yet. But in this case of the three strikes backdown, it is inexplicable that Mr Little, once a PM prospect and generally experienced one would hope, would venture so far forward on an iniative that appears to have been something of a personal obsession because in the grand scale of things, it was not really all that significant. If this then is the first crack, then it is Labour’s doing. Perhaps the coalition has decided to copy Spark NZ and adopt Agile into their operational style. Thank you, Peter, for having a memory when all about seem to have lost theirs. History may not repeat but it shurely rhymes, and as one wit had it, the first repetition is comedy, but the second is Farce. This would all be jolly fun, if it were not for the fact that we are all, collectively. standing in it. NZ First were dog tucker back in 96 then eh? Seems NZ first have enduring better that Mr Dunne.